Your body does a pretty good job of using what’s on hand to keep it running smoothly. The more good food you take in, the more vitamins and nutrients are available for use. But when it comes to essential fats—those your body cannot make or convert from other fat sources— you have to be more vigilant. Known as omega fats (like omega-3 and omega-6), the only way your body can get them is from the food you eat. Because these omegas have a known role in better health and disease prevention, it’s worth it for you to spend a little more time squeezing them in each day. What are the benefits of omega fats? Omega fats are part of the building blocks that support cell membrane development and function. They also affect how these membranes respond to hormones and chemicals they come into contact with. Omega fats are the starting point for the development of hormones that control blood clotting, inflammation, and how your artery walls contract or relax. What’s that mean for you? Researchers say omega fats play a role in the control and prevention of conditions like heart disease, blood pressure, and stroke, and may help control the symptoms of eczema, lupus, and rheumatoid arthritis. Omega fats are also thought to have a preventive role in some types of cancers. How you can eat more omega fats? · Snack on flax seeds or walnuts. Just ¼ cup of flax seeds contains your total daily intake of omega-3 fats and walnuts offer about half of the 4-gram estimated amount. Toss a few onto a salad, or mix the flax seeds into a smoothie. · Consider your salad dressing. Olive oil is a known source of omega-3 fats. Though not the highest source in your day, remember that heating olive oil destroys the omega fats so use it without cooking as a salad dressing with a squeeze of lemon, or even as a dip or flavoring oil. · Enjoy seafood. Specific types of fish—namely salmon, anchovies, tuna, sardines and others—are excellent sources of omega fats. As with olive oil, avoid frying your fish if you are after its health benefits. Bake or broil for the best outcome. · Buy omega-3 fortified eggs. Today’s poultry producers are ahead of the curve thanks to the production of omega rich eggs. It’s an easy substitute to take in more omega-3s in your omelet through your morning scramble as you head out the door. 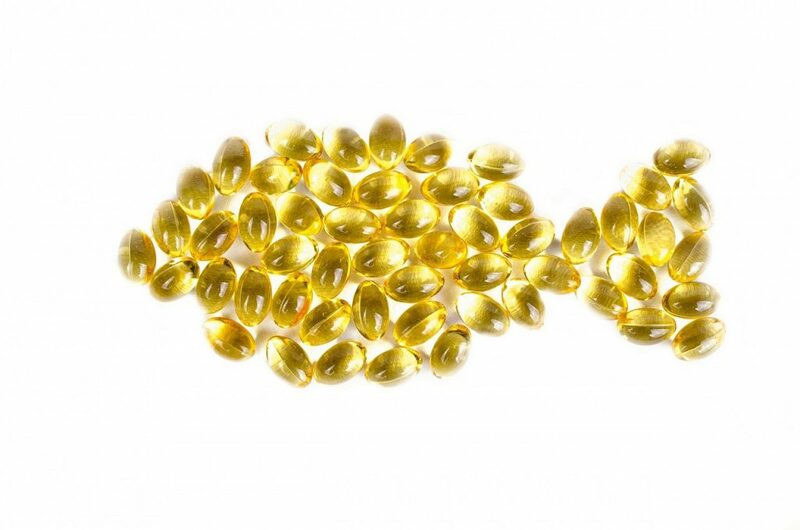 · Lastly, let’s not forget fish oil supplements. These are one of the easiest things to incorporate into your daily routine. The best part is that they’re also safe to take during pregnancy. Be sure to talk to your doctor to learn more. If you are just beginning to eat healthy and want to learn more about your body’s unique health needs, talk to your doctor and consider nutritional genomics testing. Using only some saliva, genomics testing can analyze what’s happening inside your body on a genetic level—providing you and your healthcare team with information about how your body processes sugar, fats, and other nutrients so you won’t have to guess when it comes to fueling your body and preventing disease. I love fish, so that ought to help me get enough omega-3. Still, I sure don’t eat fish everyday, so I need to add some of these other foods. I can not take fish oil supplements, they bother my stomach. But I eat fish and eggs with the omega 3 added. Fish really does give a lot of healthy omega 3! Omega 3’s are so important. I used to so scared of any fat in my diet, now I know better. I used to take the fish oil pills, but I find I actually like to eat the flax oil. I also bought some hemp seed oil as they say it has the perfect omega 3:6 ratio, but I really do not like the taste, so that stuff is going on my skin and hair instead. This is such good information. I’m not sure I’m getting enough, need to try more of these!